This is our last week of camp for the summer and then we start back on Monday September 9th! If you signup for our next camp by the end of this week – you will get a little prize from us AND get entered into a drawing to win a free pair of Oakley sunglasses! *Also, remember if you want to save 10% get a friend to signup or buy 2 camps at once! You can signup on our site HERE or bring cash or check to camp this week. Congrats to Hannah and Natalia! 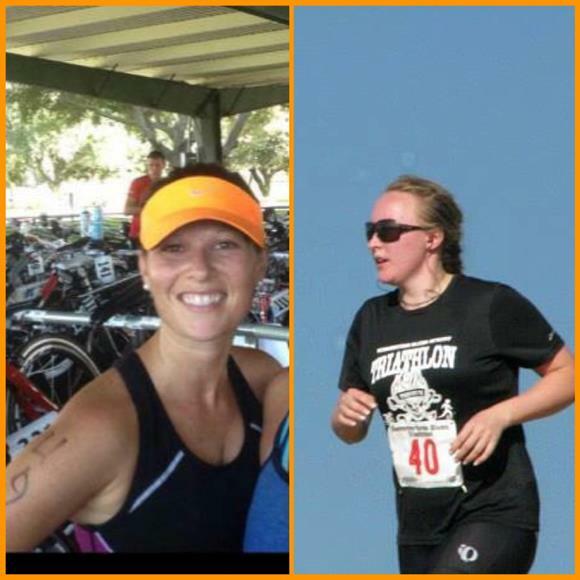 Two of our Bombshells competed in a triathlon this past weekend: Hannah and Natalia! They both finished strong and looked great! Congratulate them next time you see them! 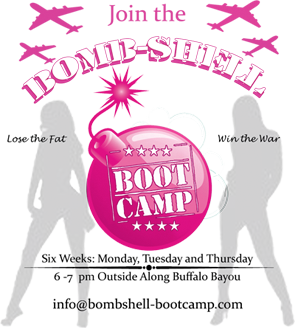 Tues/Thursdays 6pm at the normal bootcamp location. These will start on Tuesday 8/23 and end Thursday 9/5 (3 weeks worth). For details, click the link above. Meet at the Memorial Park stretching area (near tennis courts on north side of park) at 6pm and prepare to get started by 6:10pm. These workouts may be smaller – so you may have to run on your own, or you can complete the workout on another day/time. For details, click the link above. Contest: During the break – we want to see that you are still working out! We want you to post what workouts you are doing each week to stay in shape. 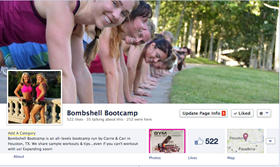 Check in with us on Facebook (write on our wall) or tag @bombshellbc on Instagram and let us know! We will chose a winner for a new Oakley item (tank, shorts, t-shirt, etc) and announce the first week of the new camp! Our shirts are being made as we speak! We will have them the first week of camp in September! They are going to be super cute! One of our favorite exercises to do at bootcamp is the seated triceps dip. When flipping through this month’s Self Magazine – I noticed that actress Julianne Hough is also a fan of the dip and it shows (she has great arms!)! Why is this exercise so good? Well, it’s similar to a pushup in that it works a lot of muscle groups at once and you don’t need any equipment, just a bench or step and your body weight. It not only targets the triceps (backs of the arms) but also works your core, and back (lats, rhomboids and traps). If you are just starting out – do them with your knees bent. To progress and make it harder you can straighten out your legs, do more reps or even add a weight in your lap. Aim for about 3-4 sets of 15-20 reps. Sit on a bench or step with hands right under glutes and fingers pointing towards your hips. Lower your body off the bench and bend your elbows behind you 90 degrees. Try to let your triceps and back do all the work vs. pushing off with your legs. Keep shoulders rolled back and chest up. Each dip=1 rep. 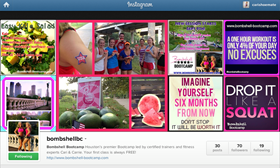 Please “Like” us on Facebook and follow us on Instagram! We post daily tips, workouts and information about workouts!